Sophie Gallagher knows Soylent Green isn’t people. A year ago, Rob Rhinehart decided he never wanted to eat again. It was too much effort to cook food, the cost of eating was too high, and he deplored the fact that our digitally forward society has managed to streamline everything but our meals. The only small issue was that he still needed some sort of intake to survive. 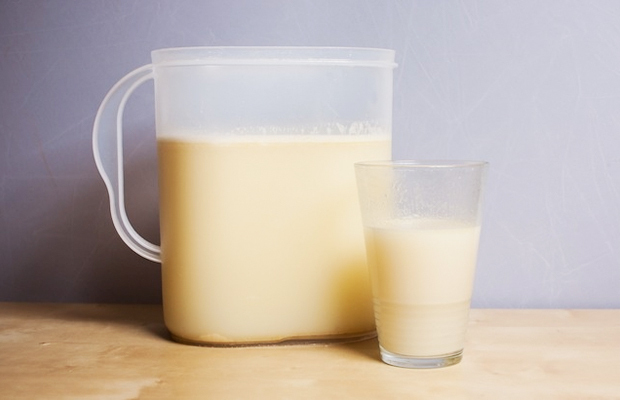 Introducing Soylent: the thick, light beige sludge that he would end up eating exclusively for 30 days, and sporadically ever since. If you’re having horrific flashbacks to the wafer made from human flesh of the same name, from the 1973 film Soylent Green, don’t worry. “My Soylent is human-free,” Rhinehart said. Created by reading up on nutrients in a physiological chemistry textbook, he built Soylent in his own home. “My kitchen soon looked like a chemistry lab and I had every unknown substance in a glass in front of me,” Rhinehart said. The elements of this futuristic food substitute are what make it most interesting, but least appealing. A powdered drink mix that just needs water, it has the same amount of nutrients as an entire meal for a balanced diet. It’s a cocktail of highly processed foodstuffs and scores of vitamins and minerals, containing everything the body needs. His blog that documented the birth of Soylent gained substantial traction online. It gathered the attention of big investors, and became the latest crowd funding success story raising $1.5 million, with preorders making their way across America this month. At the cost of around $3 a meal, it’s being seen as an attractive money saver that could give many the benefits of healthy, cheap food. University students with $200 textbooks to buy may finally be able to receive food with the vitamins and nutrients which Pad See Ew and two-minute noodles just don’t have. However, there have been some concerns that Rhinehart’s claims are overstated. “I think the notion that consumption of one formula that contains absolutely everything is unlikely to fulfill expectations,” senior CSIRO research scientist Professor Manny Noakes said. fits all’ approach to food would negate the benefits of a diverse, balanced diet. On a more basic level, food is not just fuel. The social aspects of eating, with family and friends, or as part of a cultural institution are elements that cannot be replicated by this quick-fix alternative. However, Soylent is part of the trend of bio-hacking, which rallies against the opinion that natural is always best. Building on this technology in places where food is scarce, Soylent may be king. “Being able to produce calories very cheaply at scale, in a form that is shelf-stable and comparatively easy to store and transport, alleviates many issues around food aid and security,” Rhinehart said. He hopes to make the company profitable enough to begin to turn his attention to regions where Soylent could be most useful. But this seemingly utopian vision has stirred controversy. According to Mario Ferruzzi, a food scientist at Purdue University, the bland food substitute would not be a suitable solution to poverty and famine. and how they eat,” he said. It remains to be seen which prediction will prove correct. Soylent could be the saviour of the global food crisis, but the unpalatable sludge could also take a less noble route, remaining a niche nutrition option for the Rob Rhineharts among us.